When a vehicle continues blocking your driveway by another car in your driveway then call NYC Towing Service to have your Blocked Driveway in NYC cleared up. A Blocked Driveway can sometimes get on a person’s nerves and makes the calmest person get angry. Please stay cool in this instance and have one of our tow trucks in NY come and clear up your blocked driveway. NYC Towing Service to come and remove that car that is blocking your driveway in Brooklyn NY. If you do not like the idea of having to wait until that vehicle decides to move from your driveway to do the following steps. We offer a 24 hour Blocked Driveway towing Service. We service Manhattan, Brooklyn, Queens, The Bronx, and Staten Island. 3. 311 will send the cops to summons the vehicle blocking your driveway. 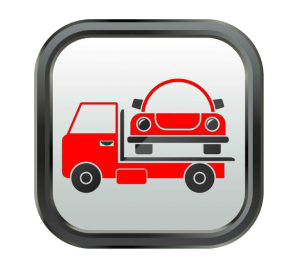 The service of removing a vehicle that is blocking your driveway is free of charge to the owner or renter of the driveway. All that is required is a signature of authorization to tow. Only the owner of the vehicle will be charged with any Towing fees. Do not be afraid to call NYC Towing Service we will clear the path so you could be on your way.